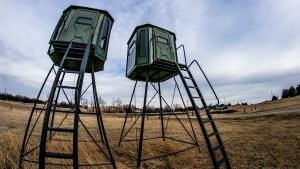 Treestands & Blinds - Smoky Valley Shooting Sports, INC. The shop stocks several different styles of stands to suit a variety of needs including ladder, hang-on, and tripods from manufacturers such as Muddy Outdoors, Big Game Treestands, and Millennium. 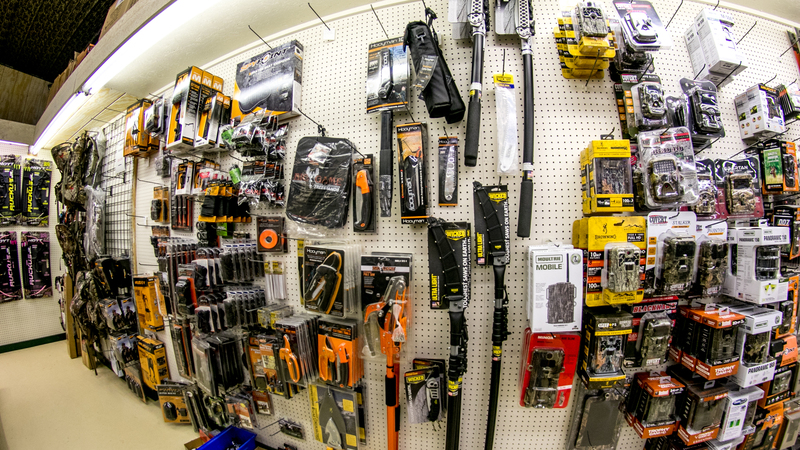 In addition to stands, we stock climbing sticks, harnesses, heated seats, and tree saws from manufactures such as Wicked Tree Saws, Hooyman, and Spypoint. For those hunting on the ground, we have several models of portable blinds from Primos, Ameristep, Muddy, and Big Game. 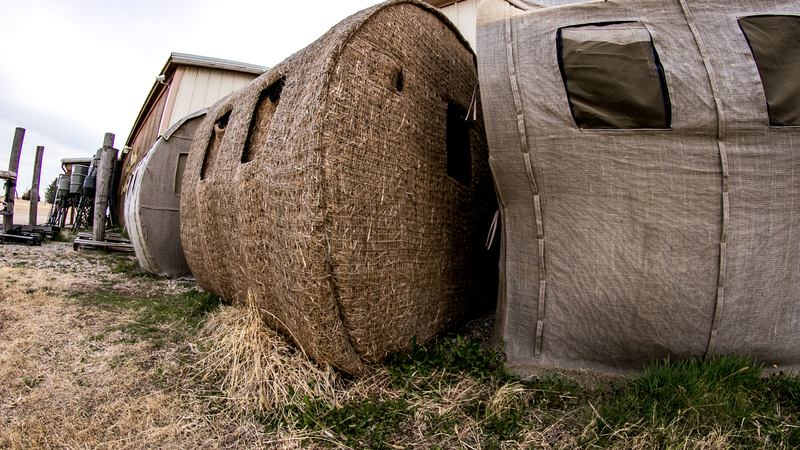 We are also a dealer for Maverick, Muddy, and Redneck permanent style blinds. 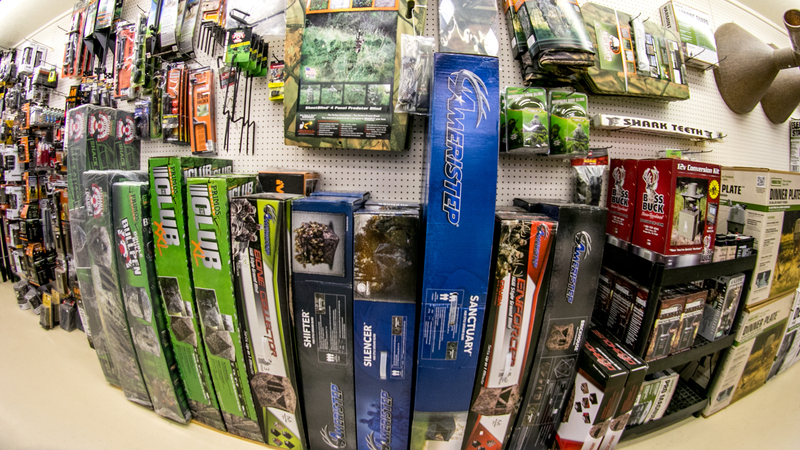 From Maverick, we carry 5 and 6 shooter plastic blinds. From Muddy and Redneck we carry box blinds with tower stands as well as several models of hay bale blinds.